For those of you beginning gun and rifle enthusiast that desire to ask questions without exposing your ignorance, this article is for you! Sometimes it is in asking questions that the greatest learning takes place. This applies to all of life by the way. The Remington 700 series has a long history, over five decades. So it is the numbers and the addendums that offer the differences. It is like a model within the same family types. Similar to vehicles! The “ADL” stands for “Average Deluxe” and the “BDL” stands for “Better Deluxe”. For the record the “CDL” stands for “Classic Deluxe”, although we will not discuss the “CDL” here. The Remington 700 ADL was discontinued in 2005. It features a “blind magazine” instead of a “hinged” magazine. BDL models have a baseplate and ADL models do not. BDL models have a fore-end cap that acts as a re-coil buffer. ADL model does not have this. The BDL model has a hood over its front site protecting it from the elements; the ADL model does not have this. The BDL model is a bit fancier on the stock, which is actually a more rigid stock. So maybe the next question is what is a blind magazine verses a hinged magazine. A blind magazine means basically that the ammunition comes out the same way that they went in. It is loaded from the top and can be unloaded by working the bolt open and closed. The hinged magazine allows you to unload the ammunition from the bottom by a hinged door just past the trigger. Keeping this clean and free of dirt on the BDL model is paramount to preventing the hinge from sticking or working improperly. Is one style better or worse than the other? It all gets down to personal preference and can I still buy one or the other. The reality is if a hunter owns both, either one can create the adventure that they are looking for on a great hunting expedition. The BDL model is a highly glossed walnut wood stock with what is known as a Monte Carlo comb. The ADL model has a synthetic or sometimes laminate stock. The difference between these two as far as weight is concerned is marginal and is not a consideration. However, the wood stock of the BDL model does increase the rigidity over the ADL Model. As far as accuracy is concerned, both are almost equally accurate. The reality is that the differences are not as important on the stock as one may think. However, that will get down to your personal choice on which rifle you prefer. Back when the ADL was manufactured, it was the cheaper, less expensive of the two Models. However, that was over 12 years ago. Obtaining the Model ADL will be from a second hand owner. It would be well worth your time to watch this 14 minute video. Not only does it show you how to do it, but it will clarify some of the differences between the Model ADL and BDL. We trust that you enjoyed this very brief discussion on the differences between these two models. Either model will give you a great day at the range or on the hunt. Betty Norris. 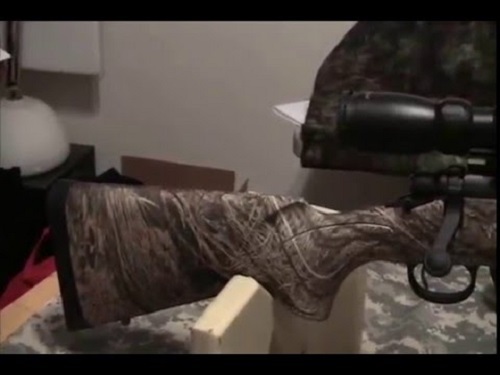 "Differences between Remington 700 ADL and BDL." DifferenceBetween.net. July 14, 2016 < http://www.differencebetween.net/miscellaneous/differences-between-remington-700-adl-and-bdl/ >. Did Remington manufacture the 700 BDL with a synthetic stock? I believe that is what I have. A model 700 7mm mag, black synthetic, Monte Carlo stock, hinged mag. No hood over front sight. Just curious, not really concerned as it is a tack driver and I love to shoot it!